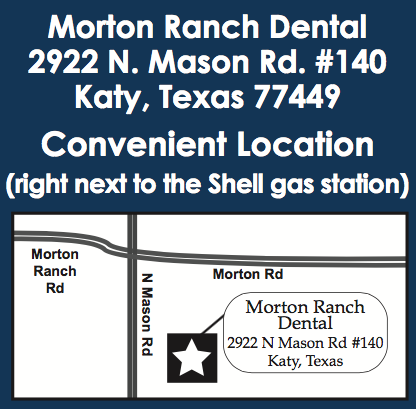 Morton Ranch Dental is located on the corner of North Mason Road and Morton Road. Our dental clinic is in that strip mall that has the DaVita Dialysis Center, Pizza Hut, and Premier Postal. If you pump your gas at the Shell station on the corner, you can probably see directly into our office. Contact us online or better yet, come in and say hi! 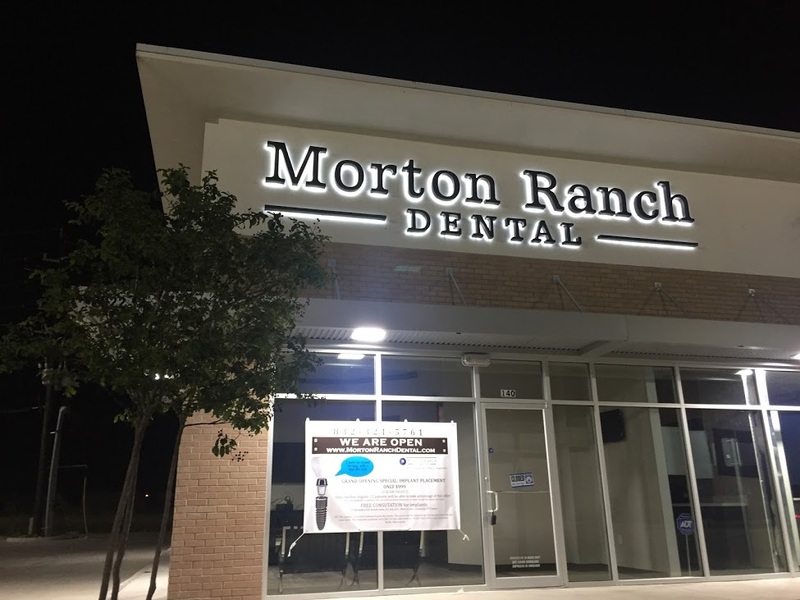 Here at Morton Ranch Dental, we want to be the dentist that you can trust to bring everyone in the family to. Our number one goal is to ensure that our patients are comfortable. That’s why we take great care to provide our patients with an experience that will have them looking forward to a visit to the dentist instead of being nervous about it. Still not sure? That’s okay. Stop in and give us a visit and we’ll do whatever is necessary to put you at ease and ensure that your visit to our dental clinic is the best you’ve experienced. Click here to give your Katy, TX dentist a call today.